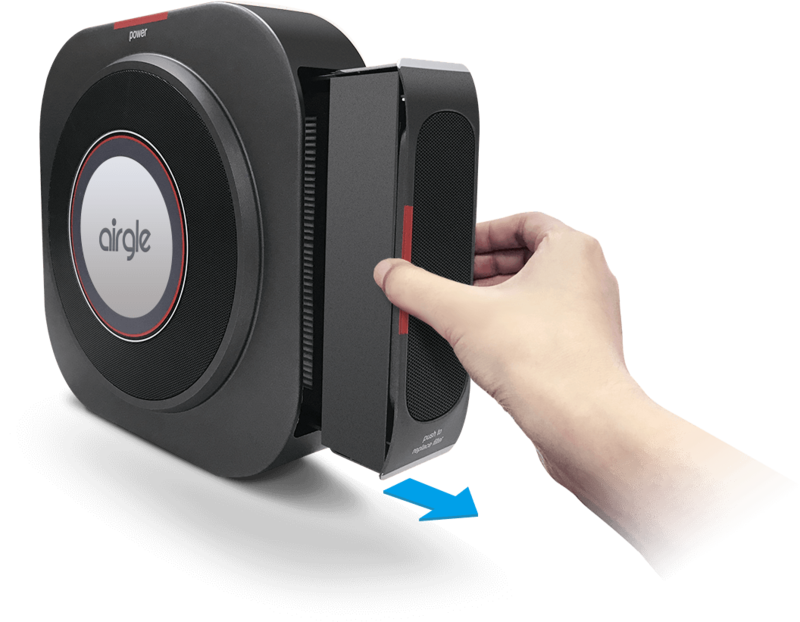 The Airgle Personal air purifier (AG25) is conveniently built for dual operation in both car and office environments, making it a great pick for you. It is equipped with cHEPA, activated carbon and PCO filtration technologies that remove airborne pollutants, such as dust particles, odors, second-hand smoke, bacteria, viruses, allergens and VOCs. The AG25 also features Airgle auto cleaning technology and auto temperature control settings for ultimate comfort and ease. The air enters simultaneously through the left and right air ducts for rapid air purification. Once the air passes through a pre-filter, an activated carbon filter and US patented PCO technology, the cHEPA filter purifies and expels clean, refreshing air. Features 3.52 ounces of coconut shell activated carbon and remove smoke and odors; purifies formaldehyde. Features 1.08 sq ft of premium cHEPA filter , which has an efficiency of 99.999% for 0.003micron particles, can remove particulates, dust, pollen, pet dander, smoke and other airborne pollutants. Our patented Titanium Pro Module kills up to 99.95% of bacteria and viruses with PCO technology. Built for strength, designed for elegance. This aesthetically pleasing unit fits seamlessly into your environment. Softly touch the "Power" button on the screen to conveniently start the two stage filtration process. 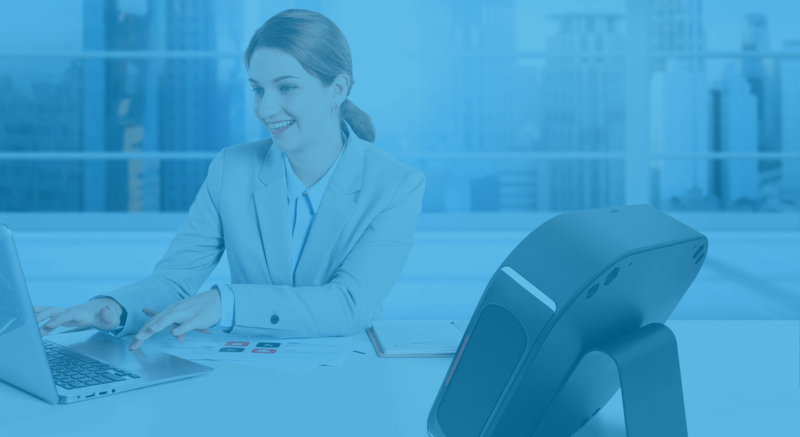 With the touch of one button, you can eject and replace filters with ease. The AG25 air purifier is equipped with auto shut off technology, ensuring you never have to worry about wasting energy. 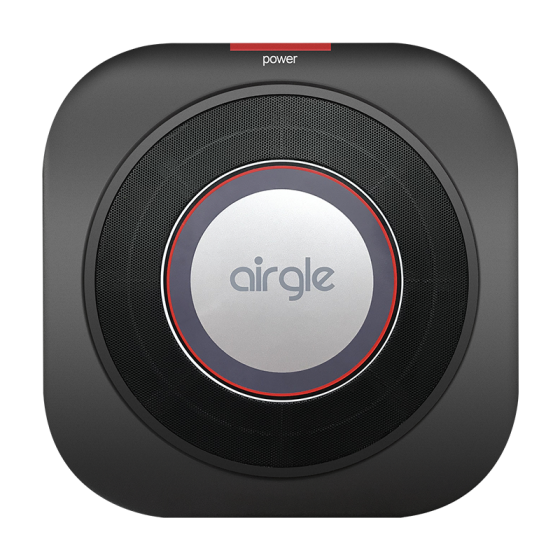 Airgle AG25 air purifier features an auto temperature control setting. If placed inside a car, it will automatically monitor the temperature. When the temperature inside the car exceeds 45°C , or 113°F, the machine will automatically activate the self protection function and enter standby mode. CE marked products indicate that they meet the requirements of a series of European directives such as safety, hygiene, environmental and consumer protection. The CB system(IEC system for the qualification testing and certification of electrical products) is an international system operated by IECEE to promote international trade and reduce international trade barriers. Korea KC aims to give consumers a better understanding of the certification marks on the purchased products and reduce the cost of various certifications for product manufacturers. 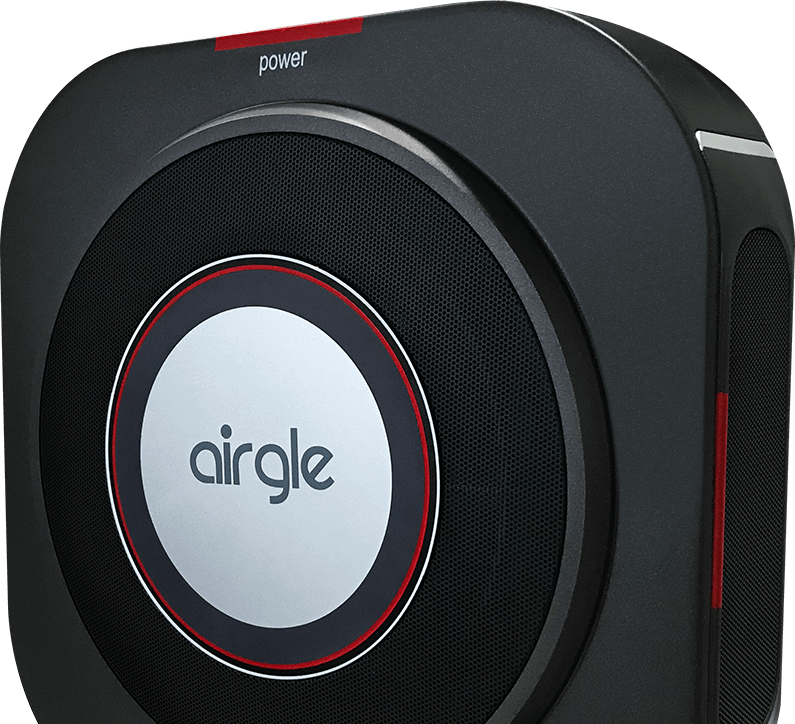 Airgle air purifier AG25 comes with one year warranty. Over the years, Airgle team has been working hard to provide best after-sales service to our customers.